A case study of how NOT to respond to domestic abuse. 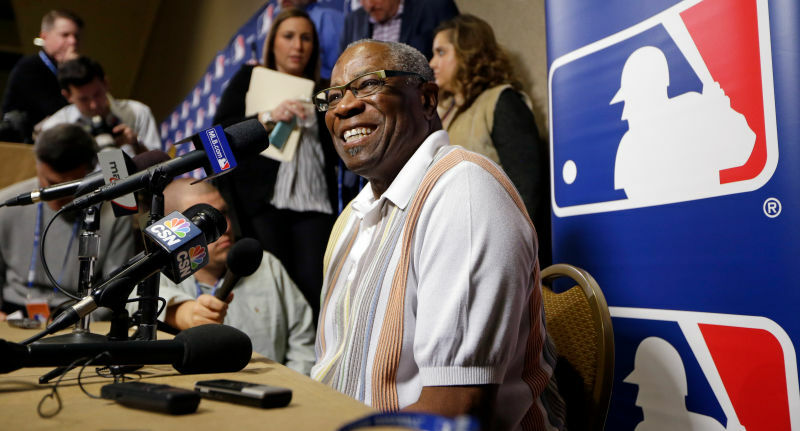 Dusty Baker has never been one to hide his feelings, whether dealing with his players on the field or in the clubhouse. Although he was relieved of his duties as the Cincinnati Reds manager a couple of years ago, a recent trade put him back in the headlines in connection with the team. Baker’s comments on alleged domestic abuser Aroldis Chapman also put him back in the spotlight. For reference, according to police reports, Chapman was arguing with his girlfriend one night, when one thing led to another, and Chapman (allegedly) choked her, punched his car window (once in his garage), and fired a gun. Surprisingly, no arrests were made. However, Major League Baseball has been “investigating.” Cynicism aside about the process to suspend or fire one of the most heralded young arms in the game, Chapman has been able to avoid the media frenzy. That’s where Dusty comes in. If he would have stopped there, we may just be questioning his sense of “heckuva” people. That’s the thing with foot-in-mouth — you have to keep talking so you can breathe. Forthcoming apology aside, social media is already torching Baker for his comments. You know what’s interesting? Baker hasn’t played baseball since 1986 but he sure can still hit one clean out of the park when he tries.